Mothers Day Presents That Say Thanks A Million! Remember the time …? No? Well Mom does! And now you can say thank you for the memories with beautiful photographic wall art. 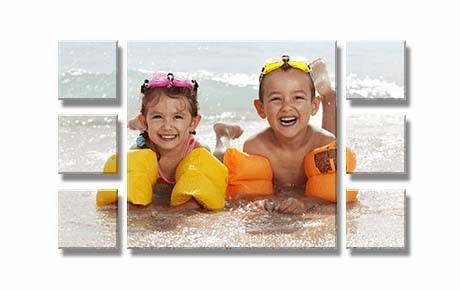 Rediscover the good times and bring them to life – weddings, babies, family holidays, birthdays, travel – through creative collages, split images, wall displays and more! Don’t just say Thanks Mom. Give the best Mother’s Day present ever and say Thanks A Million Mom! Get inspiration for different Mother’s Day presents from our ideas below or start your canvas now! Create a beautiful collage for Mom to show how much she means to you. Become her favorite all over again! Choose the style of collage your Mom would love: Traditional, Themed, Silhouette or Modish. Our Themed collage features a quote created just for Moms! 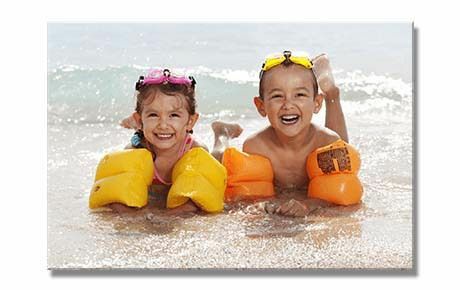 Upload photos of Mom with new baby, with the family or cover a lifetime of memories on one heartfelt, customized canvas. Gift your one-of-a-kind Mom with this one-of-a-kind collage! Use our fun, online CanvasApp to create a heartfelt print for your special Mom now. 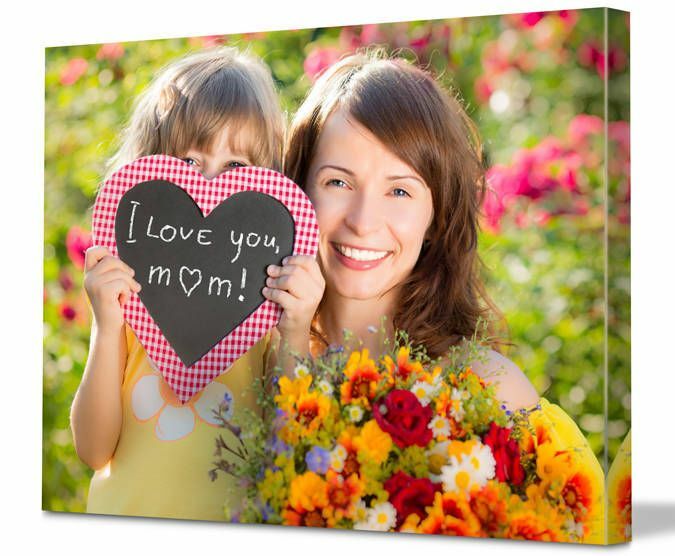 Make a lasting impact on Mom with one of our favorite Mother’s Day gift ideas - a split image canvas! Select one of Mom’s most favorite photos – family picnic, trip to Paris, garden flower – and place it on a split image design, ideal for larger spaces, above mantles, bedheads and sideboards. It’s extraordinary how effective just one photo can look when it’s positioned across multiple canvases. This creative option will win Mom’s heart and be a talking point for all who visit. 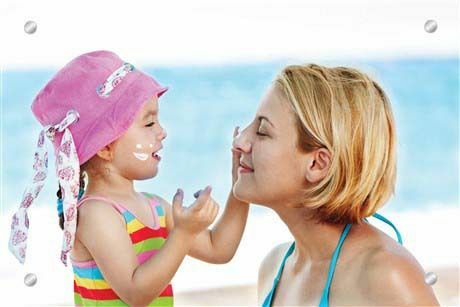 Moms love telling stories about their families and their lives. A wall display lets you recreate these stories, but in picture form! Discover the art of storytelling with these cutting-edge Mother’s Day goodies. Select a number of photos – from Mom’s past, of the family or from a special event – and tell a visual story all can enjoy. You can choose from 3-9 prints, constructed in a range of symmetrical and asymmetrical designs using canvas, plexiglass or metal materials. If you’re in a hurry and really stuck for Mother's Day present ideas, this is your go to gift! Single prints – canvas art that features one single photo - are a Win-Win. They’re easy for you to create – WIN! And they’re a gorgeous gift Mom will love – WIN! Scan in an old family favorite or find a photo in Mom’s Facebook albums. Don’t delay! Find one of Mom’s favorite photos and transform it into a beautiful print using our easy to use app. Think outside the box and treat Mom to one of the best Mother's Day gifts on the market! If your Mom loves fancy then an acrylic glass print is where it’s at. 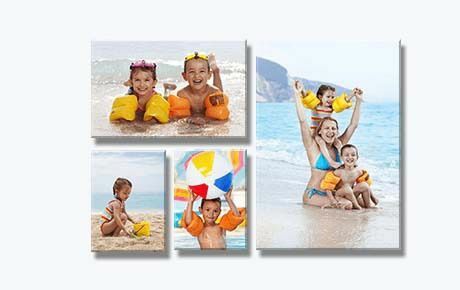 Let Mom’s precious moments shine through with a single photo or collage finished with durable plexiglass that preserves the image for years to follow. One of our latest modish collage designs will achieve an extra special feel. Give Mom the attention she deserves with a glass print available in a range of sizes, shapes and styles. Nothing speaks to stylish Moms more than metal art prints. If your mother loves high quality home décor then you’ve just found her the perfect gift. A brushed aluminum print not only looks amazing, but it’s so robust it can withstand more heat and humidity than canvas, so great for the elements like kitchens and bathrooms. So to truly wow Mom with steel art, upload a gorgeous photo to create a single or split wall print or multiple photos for a collage or wall display. Choose some beautiful art for Mom while enjoying our budget-friendly, affordable prices. Search our gallery of over 25 million images or browse through the art categories. 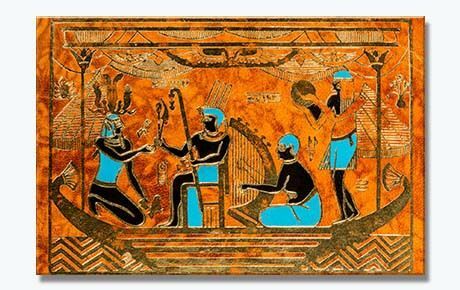 One of our colorful Japanese, Egyptian, or Islamic pieces will bring an empty wall to life again without breaking the bank. Mom will not only love her new art print, but she’ll want to know where she can get more! Left It Too Late? Go The Gift Voucher! You know she’ll love it, but you’ve left it to the last minute again haven’t you? Don’t even worry. This clever digital gift, sent via email, means you can offer Mom the choice of what photos she’d like to use in her print. Spend time looking through old family albums, scanning in photos and building the canvas together. That quality time will be a precious gift in itself. 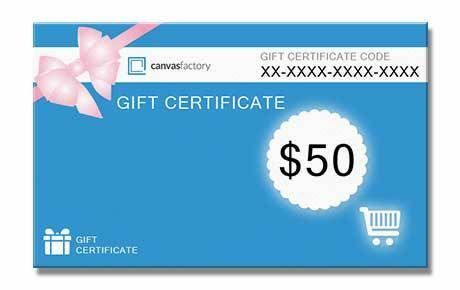 Order Mom a Canvas Factory Gift Card so she can enjoy crafting a special print she'll truly treasure.